If I have to choose between loving you and loving myself, it will be me that I will choose. Why? 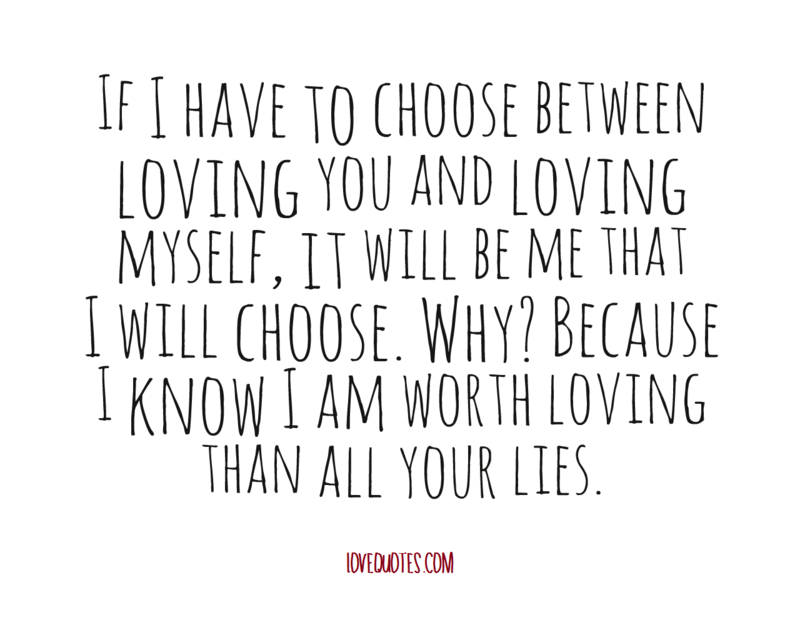 Because I know I am worth loving than all your lies.